Your search for value and performance in portable spa stops right here. 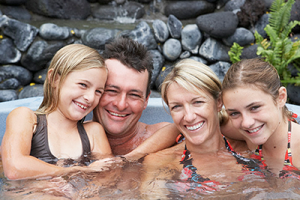 You know what you want in a hot tub, but you also know you don’t want to break the bank paying for it. That’s where Pinnacle Spas comes in. 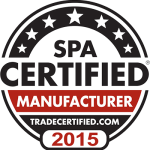 With a factory-direct dealer network across North America, you can get some of the newest and best spas on the market – without paying full market price. Pinnacle Spas line of fresh designs manufactured with you in mind boast more than 30 standard features including all the comforts you asked for – waterfalls, surround lighting, ergonomic seating, customizable hydrotherapy, and more – all straight from the factory with no middle man markup! And to make you feel better about getting in and relaxing in your new Pinnacle spa, it’s all backed with a full factory warranty.